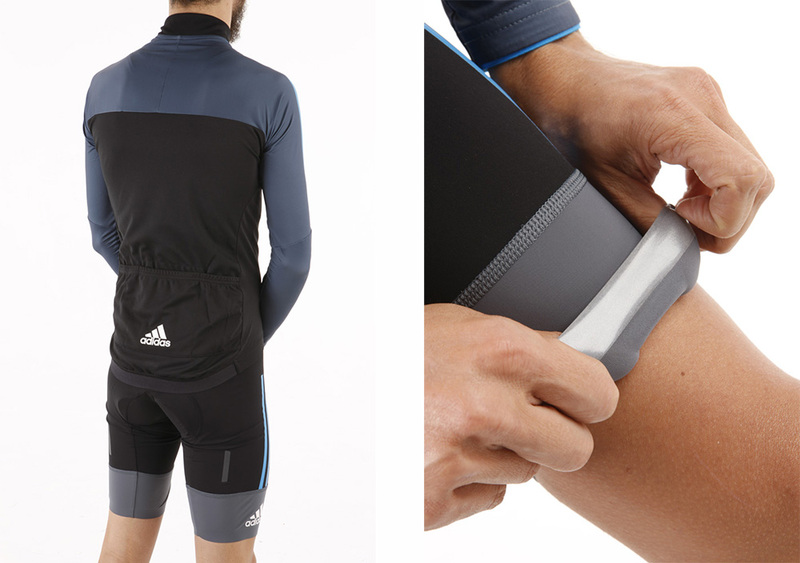 Adidas have revamped their road kit for 2014, and it’s a marked improvement. Adidas have teetered on the edge of Cycling clothing for some time. Despite sponsoring British Cycling and previously Team Sky, they’ve never taken a full step in to the apparel market. That’s starting to change now though, and last year Adidas released the expensive predecessor to this kit. The long-sleeve adistar jersey was formerly priced at £190, very much at the top end of the market and battling with some serious competition. It did well, although we considered it overpriced. After a good – albeit pricey – start last year, we were very excited about this updated kit, with the jersey now priced at only £110. That’s an £80 price cut in one year! I’d be a little bit upset if I’d bought the last iteration of this jersey. The shorts are now similarly priced, at £120. Adidas haven’t made any drastic changes to the jersey. That’s sensible, because last years model was very good. The cut and fit is more of the same, and by that, we mean it’s ‘race’ cut, with a slim profile. There’s a stretchy and fitted material used on the arms and upper body, with a slightly thicker but more breathable material used in the chest and lower areas. At the rear, a channel along the centre of the back has been removed and replaced with a more breathable material, something we appreciated during the summer. We found the combination of jersey and shorts were ideal for warmer temperatures, but we got away with some 15-degree rides during some warm October spells, with a vest base layer to keep the chill away. The jersey has standard three pocket setup, with a hidden pocket for keys located internally. On the legs, an extremely sticker leg gripper keeps everything in place. The shorts have also been updated. They now sit higher on the waist, so there’s no chance of the white stitching appearing, should your jersey ride up. It was something that ruined the overall smartness of last years outfit. The leg grippers remain excellent, being exceptionally sticky. Great for shaved riders, but possibly not ideal for the hairy legged who might lose a hair or two as the shorts are pulled on. Ouch. So with a huge price reduction and an updated design, this adistar kit has us really excited. There’s not much to fault, apart from the chunky chamois pad, but that’s only if we’re nitpicking. The pad settled down after a few rides, and became as unnoticeable as the rest of the outfit. We really appreciate kit that just gets the job done, and doesn’t remind us it’s there, and that’s exactly what the Adidas adistar kit does - The fact that it looks great is a bonus.